TERROR FILMS Is Seeking Short Films For Televised “Terrifying Tuesdays” Original Series! The film was written and directed by Dain Iskandar Said (“Bunahon”). The film stars: Ledil Putra, Prisia Nasution, Shaheizy Sam and Nicholas Saputra. Interchange made its North American premiere at TIFF in 2016. Since then, Interchange has made appearances at: L’Etrange Film Festival (Paris, 2016), BFI London International Film Festival (Thrill, 2016), Singapore International Film Festival (Opening Film, 2016) and the Brussels International Fantastic Film Festival (Belgium, 2016). The film has met with critical claim, at many of these prestigious appearances. The film, which was acquired from XYZ Films. Interchange was written by: Redza Minhat, Dain Said, June Tan and Nandita Solomon (who also produced the film). The film will debut on: Amazon Instant, Amazon Prime, Vudu, Xbox and Google Play – on the 16th. This release will be followed by another on iTunes, this March 3rd, 2018. More platforms will follow, including a VOD and DVD release. Global Digital Releasing is sharing the official trailer, poster and some stills in anticipation of the film’s expansive North American debut. Heartless, the directorial debut short film from the award-winning production company Sunshine Boy Productions; will debut at the 2018 Nevermore Film Festival on Saturday Feb 24th at 5:10 pm EST with an encore screening on Sunday Feb 25th, 2018 at 2 pm EST. Both screenings will take place in Cinema One at The Carolina Theatre of Durham on 309 West Morgan St. Directed by Kevin Sluder (one half of Los Angeles based Sunshine Boy Productions’ award winning team along with his wife, Jennifer), Heartless tells the story of an overlooked corporate associate Shelby (Stacy Snyder) who struggles to complete a marketing presentation while a horrible secret tortures her conscience. It will be a homecoming of sorts for the Sluders, who met as students at UNC on Chapel Hill and are proud UNC alumni. While working on set, a conversation about the best of Edgar Allan Poe’s works gave Kevin an idea. He’d long considered The Tell-Tale Heart as his favorite Poe work as it was not only macabre but also tragically human. “It speaks to the frailty of our nature and about guilt being an inescapable curse. On the way home from the shoot, this image got stuck in my head. It was this innocent, rising star exec staring at her reflection before a corporate presentation, having done something terrible the night before. I couldn’t shake it,” shares Kevin. Sunshine Boy Productions has found success on the film festival circuit previously, with their 2014 film noir short, Play Violet To Me, which was awarded an Audience Award at the NYLA International Film Festival and a Grand Jury Award at the LA Neo-Noir Film Fest. This success led to producing other artists’ films including Matt Mercer’s short horror film, Feeding Time, which won 8 accolades on the festival circuit including Best Director and Best Score at the Brooklyn Horror Film Festival. Wastelander Faces a Horrifying Future World on Digital Platforms! 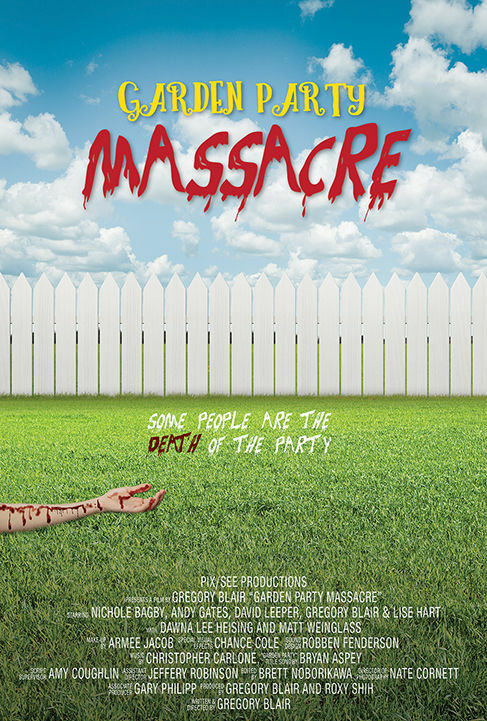 GARDEN PARTY MASSACRE is a fast-paced, wacky spoof in the vein of Shaun of the Dead and Tucker and Dale vs. Evil. The fun begins when a friendly backyard gathering goes hilariously awry as an unexpected guest arrives – with a pickaxe and an attitude! Boston Film Family, LLC, has released the official trailer – https://vimeo.com/258159572 – of its upcoming feature film, “Parts Unknown”. The wrestling horror movie will have its world premiere in Arlington, Massachusetts, on June 9, 2018. Boston Film Family, LLC, is an award-winning Massachusetts-based independent film production company that specializes in the creation of visual horror and grindhouse stories. Its previous works include the featurette “Witch Hunt” (2016), the feature film “Gilgamesh” (2014), and the webseries “Boston Massacre” (2012-2013). For more information on Boston Film Family, LLC, the company’s homepage can be accessed at Facebook – https://www.facebook.com/pg/bostonundead/about/?ref=page_internal – or on the company’s website – www.bostonfilmfamily.com . Los Angeles, California : Director Jason Horton’s (Monsters in the Woods) The Campus will be releasing through Video-on-demand this week. This indie horror film puts Morgan (Rachel Amanda Bryant) in a demonic limbo, after her father makes a deal with the Devil. Robert C. Pullman (“Fragmented”), Brit Sheridan (“Supernatural”) and Scott Menville also star in this Gas Money Pictures’ production. And, The Campus will be available, through a wide online release, this February 1st! For immediate release – January 29, 2018 – IndustryWorks Studios, XLrator Media and Motorcycle Boy Productions are pleased to announce the horror feature ‘RESIDUE’ was released on Blu-Ray/DVD in the US on January 23, 2018. A special theatrical screening will follow at THE SEATTLE CRYPTICON CONVENTION, May 5th, 2018. 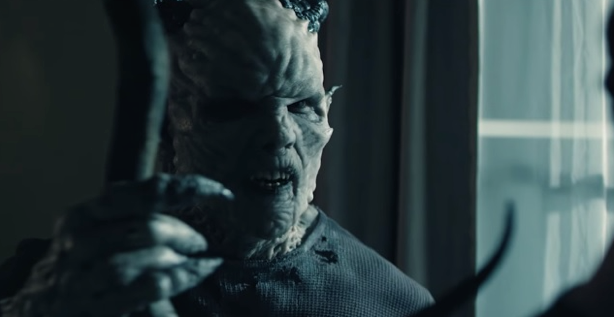 ‘Residue’ stars James Clayton (‘Candiland’, ‘The 100’, ‘Timeless’), Taylor Hickson (‘Deadpool’, ‘Aftermath’), Costas Mandylor (‘Saw’ Franchise, ‘The Pledge’, ‘Picket Fences’), Gemini Award nominated Matt Frewer (‘Orphan Black’, ‘Watchman’, ‘Max Headroom’), Elysia Rotaru (‘Arrow’, ‘Girl House’, ‘Diary of a Wimpy Kid’), Blaine Anderson (‘Scary Movie 4’, ‘Final Destination 5’), Michael Matic (‘Candiland’, ‘Down The Line’), and William B. Davis (‘The X Files’, ‘Continuum’, ‘The Tall Man’). ‘RESIDUE’ is written and directed by Rusty Nixon. Blaine Anderson and James Clayton of Motorcycle Boy Productions produced the film with Executive Producer Evan Tylor of IndustryWorks Studios, Barry Gordon & Michael Radiloff of XLrator Media, and Executive Producers Edward Rea and Nina Lee. The cinematographer is Jan Wolff, casting by Edward Rea, and the editor is David Willinsky. ‘RESIDUE’ tells the story of private investigator Luke Harding (James Clayton) who reads a book of sinister origins owned by seedy crime lord Mr. Fairweather (Matt Frewer). Unbeknownst to Luke, the book is a much sought after supernatural artifact and Fairweather’s greatest rival, the enigmatic Mr. Lamont (William B. Davis) begins pursuit of Luke with his most trusted henchmen Boston & Jacob (Michael Matic, Costas Mandylor). While the criminal underworld is desperate to retrieve the book and harness its power for their own dark agendas, it’s evil begins to take root in Luke’s apartment; putting himself, his daughter (Taylor Hickson) and his secret love Monica (Elysia Rotaru) in a fight for their lives… and their eternal souls. ‘RESIDUE’ is the first feature film in a three-part franchise. Motorcycle Boy Productions plan to go into production in 2018 with the second installment of this trilogy. All cast are available for interviews upon request. BLU-RAY/DVD AVAILABLE IN THE US ON AMAZON AND BESTBUY.COM JANUARY 23, 2018. PHILADELPHIA, PA, — Submissions are now open for the 2018 edition of the Philadelphia Unnamed Film Festival, which officially announces its return for a third consecutive year of showcasing the latest and greatest in genre cinema. Returning to the Proscenium Theater at the Drake in Center City, Philadelphia, PUFF3 will run from Thursday, September 6, to Sunday, September 9, featuring four full days of strange, sordid, and spectacular offerings from international and regional independent filmmakers. In addition to their feature and short film categories, the Third Annual Philadelphia Unnamed Film Festival will also be debuting a brand new micro-shorts category that will shine a spotlight on short-form unique and experimental films from emerging digital platforms. The brainchild of genre film aficionados Madeleine Koestner and Alex Gardner, the Philadelphia Unnamed Film Festival has become the underground sensation of the Philly indie film scene. With a weekly horror screening series and burgeoning spin-offs, 2018 aims to be the biggest and boldest year yet for the festival, which has previously featured such notable films as Tragedy Girls, We Go On, Imitation Girl, and Karate Kill. Additionally, PUFF touts an excellent success rate for their selections, with almost all feature films from the first two years of the festival receiving independent distribution. In addition to the newly announced dates, PUFF3 has also opened early submissions for filmmakers to enter their micro-short, short, and feature length productions into the fest, with special low-rate entry fees for submissions between February 1 and February 28. Submissions will commence under standard rates March 1 to June 15, followed by the late submission period from June 16 to July 15. All films playing in competition at PUFF3 will be eligible for three different awards, each of which will be represented by a tiara in PUFF tradition: the Best Feature Award, Best Short Award, and Jury Award. Furthermore, PUFF3 will also crown a new figure in the independent genre scene with their Legacy Award. Prior to PUFF3, the Philadelphia Unnamed Film Festival will continue to collaborate with Philly’s South Street Cinema on their weekly screening series. Curated by Gardner, these screenings have built much buzz among the city’s genre crowds, who have flocked to check out such festival favorites as Hounds Of Love and Mom & Dad as well as cult classics and local programming. Likewise, PUFF will be bringing its brand of askew cinematic fun to the West Coast for the Unnamed Footage Festival, a collaboration with the Bay Area’s Overlook Theatre. The Unnamed Footage Festival will feature two days of found footage horror at San Francisco’s Historic Balboa Theater from March 24 to March 25. More information can be found on the event website. To submit to the Third Annual Philadelphia Unnamed Film Festival, please visit the festival’s pages on FilmFreeway and WithoutABox. To keep up with the latest happenings from the Philly Unnamed team, you can follow the event on Facebook, Twitter, Instagram and YouTube. LOS ANGELES, CA – Terror Films has acquired the worldwide rights to Tristan Clay’s demented indie horror flick RED EYE. The first phase of the release is set to land on digital platforms, Friday, February 9th. This genre distributor is sharing the official poster, trailer and several stills – ahead of the film’s upcoming release. Los Angeles, CA– In 1989, director Mary Lambert collaborated with King of Horror Stephen King to bring his best-selling book PET SEMATARY to the screen. UNEARTHED AND UNTOLD: THE PATH TO PET SEMATARY brings the shocking true story behind the film to genre fans this March. Hitting home video for the first time ever, aficionados of this undead classic can dive behind the scenes in HD glory, with a graverobber’s bounty of putrid bonus features on the film’s Blu-ray release! It’s Women in Horror Month and that brings with it not only numerous celebrations of equality, but our MASSIVE Blood Drive! Yes, you can’t think horror without thinking blood so we took it upon ourselves to make the world aware of the very dire need for donors. Now in it’s 9th year, we decided to kick things up a notch by featuring 30 filmmaking teams from around the world and release a new Blood Services PSA for 30 days! Now, on with the show!! Vanessa Ionta Wright is a filmmaker based in Atlanta, GA. She is the co-owner of Above the Line Artistry (www.abovethelineartistry.com) as well as the co-founder and Festival Director of the Women in Horror Film Festival (www.WIHFF.com). Vanessa collaborated with Samantha Kolesnik, Mark Simon (One Missed Call), David Irwin (House of 1000 Corpses) and Josh Oliver (Oculus) on Rainy Season, based on the story by Stephen King. Vanessa has also directed the short film I Baked Him a Cake and a PSA for the WiHM9 Massive Blood Drive. Vanessa graduated from Ohio University with a degree in Video Production & Film. She is a lifelong fan of cinema, most especially the horror genre. She enjoys punctuality, scary movies, a quick wit, sandwiches, the music of Michael Jackson, Halloween & Bacon Jam. She does not enjoy bugs, clowns, perpetual lateness, mean people, oppression, laziness, running more than 3 miles or curved walls. I was really honored to be invited to create a PSA for the WiHM Massive Blood Drive. This is a brilliant idea to blend the world of horror filmmaking with such an important cause. I think it’s easy to take our blood for granted. It is crucial to donate. I hear people say all the time “I wish I could do something to help” and this is probably the most simple and effective means of helping others. Giving your blood will save lives and I am so grateful to be a part of such an amazing cause. The theme this year of Be a Hero is so appropriate, because when you give blood, when you save a life, you become a hero.